Top Tomato Foods is a family owned and operated company whose history spans back 50 years. In 1960, Vito De Filippis Sr. started farming 40 acres of land in Uxbridge, Ontario. At that time, his produce was distributed mostly to small independent stores and at the Ontario Food Terminal. Today his son, Dominic and grandsons, Vito and Antony have largely expanded the business and continue to supply small independent stores as well as larger Canadian retailers. And, of course, they are still at the Ontario Food terminal at stall 354, the same stall where Vito Sr. started in 1960. The focus has always been on three main crops- cabbage, cauliflower and broccoli. Recently they have also challenged themselves to grow new crops such as artichokes and colored cauliflower (purple, orange and romanesco). Top Tomato Foods pledges to continue to grow the best quality produce with the same passion that has driven them since 1960. Top Tomato Foods is a wholesale food seller, but the public is welcome to come and purchase the produce at the 19th Ave Farmers’ Market. 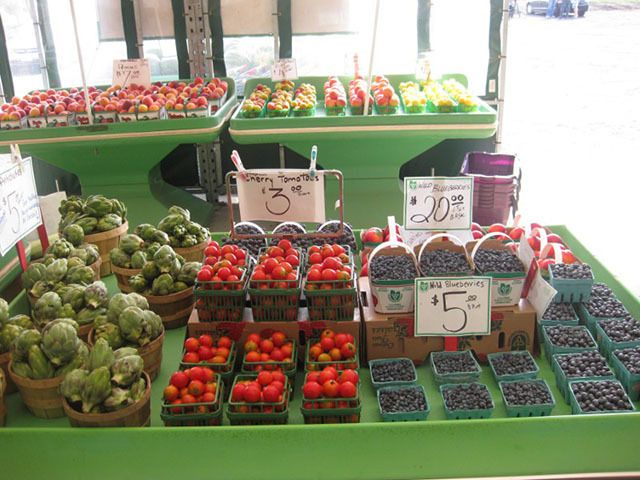 The 19th Ave Farmers’ Market is open 7 days a week. For any additional information please visit the website!